Renewed discussion about the potential for the Federal Reserve to employ negative interest rates to combat an economic downturn is already prompting objections from some market veterans. In a letter published Feb. 4 by the Federal Reserve Bank of San Francisco, researcher Vasco Curdia argued that had policy makers cut rates below zero following the financial crisis, they could have “mitigated the depth of the recession and sped up the recovery.” Yet Peter Boockvar at Bleakley Financial Group is among those pushing back, warning that the adoption of a negative interest-rate policy by the central bank would have dire consequences for markets. The discussion about negative interest rates comes as a flagging global growth outlook prompts the Federal Open Market Committee to consider put its policy normalization efforts on hold. 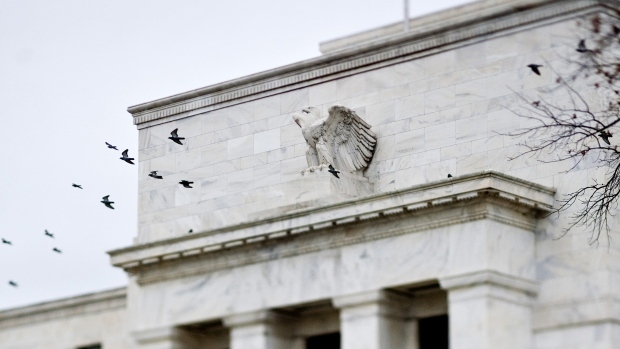 In the wake of the global crisis of a decade ago, the Fed opted not to take its main target rate negative and instead stuck to various quantitative easing measures once its main rate approached zero. More recently it has been engaged in a process of lifting rates and reducing the size of its QE-inflated balance sheet. That process may now be grinding to a halt sooner than many had expected. Other monetary authorities also used quantitative easing, while some went even further on rates than the Fed did. The European Central Bank, the Bank of Japan and the Swiss National Bank, have already been conducting monetary policy with interest rates below zero since at least 2014. Should the Fed be in a position to adopt a negative-rate policy, that would push yields on short-term funding products, from Treasury bills and repurchase agreements to commercial paper, close to or below zero. Because these are the types of assets that U.S. money-market funds buy, NIRP would deter investors from parking cash there, according to Boockvar. Even if the money-fund industry found a way to maintain its viability as an investment vehicle, its profitability could still suffer as firms waive fees to keep investors, just like they did during the years when the Fed’s main rate was tethered near zero, according to Mark Cabana, head of U.S. interest rate strategy at Bank of America.